Electric / oil / gas fired versions. Suitable for annelaing / normalising / stress relieving / gas carburising / carbo nitridng / soft nitriding. 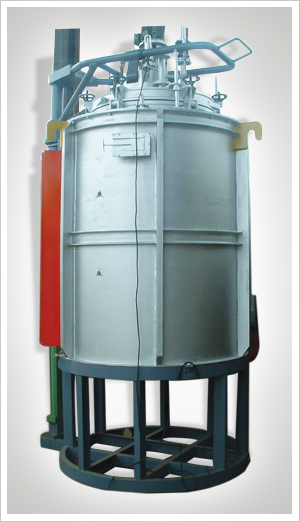 Features atomsphere operation and oxy probe for process control. Min size of equipment – 600 mm dia x 900 mm depth gross loading 400 kg up to 1000 mm dia x 12000 mm depth.